So many people perceive failure as a bad thing. Failure makes us stronger. Failure makes us smarter. You cannot succeed without failing. You can fail 10,000 times and still succeed. If there was no failure success would not exist. 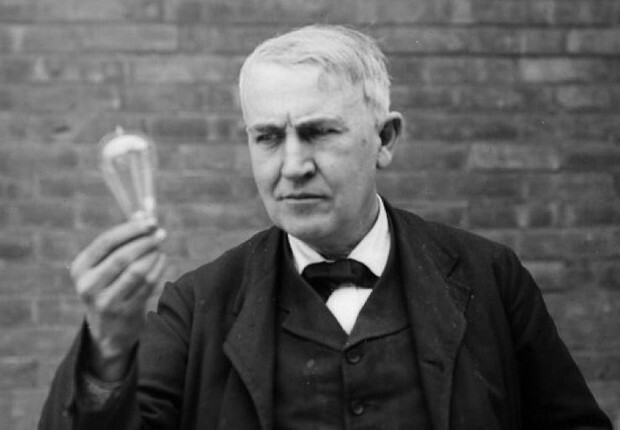 Thomas Edison’s quote is about not giving up. He did not acquire his success and fame by giving up. He was determined with his inventions. Everything he tried that did not work only brought him closer to success. It is all about attitude. Are you ready to go out there in the world and fail? Are you ready to pull in more success than ever before? Then be ready to fail. Seriously it’s just that simple, more failures equals more success! Don’t be afraid to fail, don’t be afraid to take risks, and don’t be afraid to learn. Instead be prepared to learn all you can out of each failure in your life. You are not going to fail on purpose you are going fail from trying…trying your best. What are you going to learn today? How will you fail? Take risks and step out of your comfort zone today and tomorrow will be your success. Check out my FACEBOOK for more Ultra Positivism! Just a reminder next week I will not be posting. Thank you very much to all of my loyal followers and those new to Up With Marc! Posted on January 31, 2014, in Quotes and tagged believe, changes., Desire, determination, dreams, failure, faith, family, famous quote, Famous Quote Friday, friends, Friendship, future, Goals, gratitude, happiness, happy, hope, Inspiration, inventor, Journey, life, love, motivation, positive, positivism, purpose, quotes, Relationship, risk, simplify, success, Thomas Edison, trust, upwithmarc. Bookmark the permalink. 2 Comments. Nice Mark. I have a whole bunch of different and inspirational quotes taped to the inside door of my office. I will add this one. Now here is a good business enterprise opportunity and should be a peice of cake given you graphics arts background. Why don’t you compile all your inspirational quotes and assemble and print each on a post it note style cut out in the shape of a cloud, question mark, light bulb or something similar. You could have them done up on diferent color paper and print the words in a watermark. You could even do them in foreign languages and go global! And you can thank me when you make you first million $$$ (think Walmart distribution) – with 10 percent of your royalties. Maybe you can ask your blog readers to invest in your new business venture start-up. Paul thanks for the great idea!